Call us today at (573) 449-2929 to set up your free initial consultation. 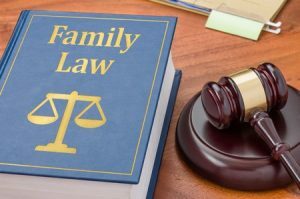 At Oxenhandler Law, we place a focus on respecting you and your goals as we help with your family legal issues related to divorce, child custody and distribution of marital assets. We make sure you have a clear plan that encompasses both your current situation and the long term needs of you and your children. Our clients want an attorney who respects them. Josh Oxenhandler works hard each day for another opportunity to help solve problems for his clients. Josh has the privilege of being able to use his knowledge, access local resources and skills to help each individual situation. Our clients want an attorney who will keep the ball rolling forward. Josh has a proactive customer service mentality when helping clients with their cases. Josh understands that family law situations can be mentally draining for his clients. Frequently, many things are changing for them at the same time and keeping track of what to do can be hard. Our office has a sophisticated process for engaging clients, quickly understanding their concerns and following up with them to guide them through to the best results. Our clients want an experienced family attorney. Josh has over 15 years experience serving local families. While each situation unique, Josh is able to draw from his past successful work with clients to help get the best outcome. This enables Josh to skillfully protect your rights. Josh has provided services in all areas of family law including divorce, child custody, child support, division of assets, alimony, adoptions and estate planning. Our clients want to avoid as much drama and entanglements as possible during the legal process. Josh invests valuable time and effort into family law case processes to avoid typical divorce, custody, and asset complications that can occur both before and after a divorce settlement. Understanding the potential pitfalls helps Josh assist clients through the process in the most straightforward manner to help avoid unnecessary set backs and misunderstandings on both sides. 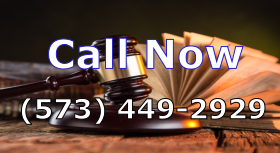 Oxenhandler Law encourages you to contact us at your earliest convenience to be able to speak with you about your current situation in a free initial consultation. By the end of the first conversation, you should have a much better insight into how the law can help you achieve your goals. Please call today at (573) 449-2929.